BSc (Towson State University), MA (Towson State University), PhD (Bowling Green State University). Chet Robie is a professor in organizational behavior/human resource management in the School of Business at Wilfrid Laurier University in Ontario, Canada. 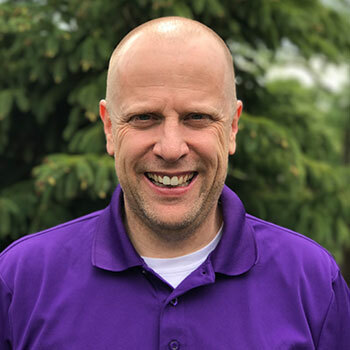 His previous academic posts include an assistant professorship in the I/O psychology program at the University of Houston and an assistant professorship in the College of Business Administration at Niagara University. Robie has consulted for international firms such as Personnel Decisions International, General Motors, Procter & Gamble and Caliper, Inc., dealing with issues related to multi-source feedback, applicant faking, test development and validation, and global norms. Robie worked as a personnel management specialist for the U.S. Office of Personnel Management where he was involved in large-scale survey initiatives and policy evaluation. Robie is also interested in collective bargaining and negotiation issues having served as an arbitrator for both the National Association of Securities Dealers and the Better Business Bureau and various roles in faculty unions. His current research addresses faking on personality assessments in high stakes personnel selection situations. He has published in such peer-reviewed journals as Journal of Applied Psychology, Personnel Psychology, Organizational Research Methods, and the International Journal of Selection and Assessment. Robie is currently a member of the editorial boards of Human Performance, Journal of Business and Psychology, Personnel Assessment and Decisions, International Journal of Selection and Assessment, and the Journal of Research in Personality. Robie is also currently a member of the Professional Advisory Board for SkillSurvey, Inc., a firm that specializes in web-based reference-checking. Robie’s undergraduate education was at Towson University. Robie also received his master’s degree in Experimental Psychology from Towson University. Robie received his PhD in Industrial/Organizational Psychology from Bowling Green State University. Hedricks, C. A., Rupayana, D., Fisher, P. A., & Robie, C. (in press). Factors affecting compliance with reference check requests. International Journal of Selection and Assessment. Christiansen, N. D., Fisher, P. A., Robie, C., & Quirk, S. W. (in press). Tilting at windmills and improving personality assessment practices. Industrial and Organizational Psychology: Perspectives on Science and Practice. Fisher, P. A., Robie, C., Christiansen, N. D., Speer, A. B., & Schneider, L. (in press). Criterion-related validity of forced-choice personality measures: A cautionary note regarding Thurstonian IRT versus classical test theory scoring. Personnel Assessment and Decisions. Hausdorf, P. A., & Robie, C. (2018). Understanding subgroup differences with general mental ability tests in employment selection: Exploring socio-cultural factors across inter-generational groups. International Journal of Selection and Assessment, 26, 176-190. Hedricks, C. A., Rupayana, D., Puchalski, L., & Robie, C. (2018). Content of qualitative feedback provided during structured, confidential reference checks. Personnel Assessment and Decisions, 4 (1), 41-54. Fisher, P. A., Robie, C., Christiansen, N. D., & Komar, S. (2018). The impact of psychopathy and warnings on faking behavior: A multisaturation perspective. Personality and Individual Differences, 127, 39-43. Robie, C., Christiansen, N. D., Hausdorf, P. A., Murphy, S. A., Fisher, P. A., Risavy, S. D., & Keeping, L. M. (2017). International comparison of group differences in general mental ability for immigrants versus non-immigrants. International Journal of Selection and Assessment, 25 (4), 347-359. Christiansen, N. D., Robie, C., Burns, G. N., & Speer, A. B. (2017). Using item-level covariance to detect response distortion on personality measures. Human Performance, 30 (2-3), 116-134. Jeong, Y. R., Christiansen, N. D., Robie, C., Kung, M., & Kinney, T. B. (2017). Comparing applicants and incumbents: Effects of response distortion on mean scores and validity of personality measures. International Journal of Selection and Assessment, 25 (3), 311-315. Robie, C., Risavy, S. D., Holtrop, D., & Born, M. P. (2017). Fully contextualized, frequency-based personality measurement: A replication and extension. Journal of Research in Personality, 70, 56-65. Speer, A. B., Robie, C., & Christiansen, N. D. (2016). Effects of item type and estimation method on the accuracy of estimated personality scores: Polytomous item response theory models versus summated scoring. Personality and Individual Differences, 102, 41-45. Robie, C., & Risavy, S. D. (2016). A comparison of frame-of-reference and frequency-based personality measurement. Personality and Individual Differences, 92, 16-21. Christiansen, N. D., Quirk, S. W., Robie, C., & Oswald, F. L. (2014). Light already defines the darkness: Understanding normal and maladaptive personality in the workplace. Industrial and Organizational Psychology: Perspectives on Science and Practice, 7 (1), 138-143. Griffith, R. L., and Robie, C. (2013). “Personality testing and the ‘F Word:’ Revisiting seven questions about faking.” In N. D. Christiansen and R. P. Tett (Eds. ), Handbook of personality at work (pp. 253-280). New York: Taylor & Francis. Hedricks, C. A., Robie, C., and Oswald, F. L. (2013). “Web-based multisource reference checking: An investigation of psychometric integrity and applied benefits.” International Journal of Selection and Assessment, 21 (1), 183-194. Christiansen, N. D., and Robie, C. (2011). “Further consideration of the use of narrow trait scales.” Canadian Journal of Behavioural Science, 43, 183-194. Robie, C., Emmons, T., Tuzinski, K. A., and Katrowitz, T. (2011). “Effects of an economic recession on leader personality and general mental ability scores.” International Journal of Selection and Assessment, 19, 183-189. Robie, C., Komar, S., and Brown, D. J. (2010). “The effects of coaching and speeding on Big Five and impression management scale scores.” Human Performance, 23, 446-467. Robie, C., Taggar, S., and Brown, D. J. (2009). “The effects of warnings and speeding on scale scores and convergent validity of conscientiousness.” Human Performance, 22, 340-354. Komar, S. G., Brown, D. J., Komar, J. A., and Robie, C. (2008). “Faking and the validity of conscientiousness: A Monte Carlo investigation.” Journal of Applied Psychology, 93,140-154. Robie, C. (2006). Effects of perceived selection ratio on personality test faking. Social Behavior and Personality, 34, 1233-1244. Zickar, M. J., Gibby, R. E., and Robie, C. (2004). “Uncovering faking samples in applicant, incumbent, and experimental data sets: An application of mixed model item response theory.” Organizational Research Methods, 7, 168-190. Greguras, G. J., Robie, C., Schleicher, D. J., and Goff, M. III (2003). “A field study of the effects of rating purpose on the quality of multisource ratings.” Personnel Psychology, 56, 1-21. Robie, C., Schmit, M. J., Ryan, A. M., and Zickar, M. J. (2000). “Effects of item context specificity on the measurement equivalence of a personality inventory.” Organizational Research Methods, 3, 348-365. Schmit, M. J., Kihm, J. A., and Robie, C. (2000). “Development of a global measure of personality.” Personnel Psychology, 53, 153-193. Zickar, M. J., and Robie, C. (1999). “Modeling faking good on personality items: An item-level analysis.” Journal of Applied Psychology, 84, 551-563. Greguras, G. J., and Robie, C. (1998). “A new look at within-source interrater reliability of 360-degree feedback ratings.” Journal of Applied Psychology, 83, 960-968.